A native of Johnson County, Kentucky, and a 1948 graduate of Paintsville High School, Cullie J. Sparks longed to find an easier lifestyle than hoeing corn, digging potatoes, and working in the family grocery store. He enrolled in the University of Kentucky and received a Bachelor of Science degree in metallurgical engineering in 1952. In 1957, he became the third person to receive a doctoral degree from the UK College of Engineering. Dr. Sparks was an active student leader in the College of Engineering and served as president of the Engineering Student Council in 1951-52. While finishing his doctorate, Dr. Sparks served as a Project Officer in the U.S. Air Force. After receiving his doctorate, Dr. Sparks joined the staff of the Oak Ridge National Laboratory (ORNL) in Oak Ridge, Tennessee and began a stellar career as a scientist and at the same time, an educator at the University of Tennessee. As manager of the X-ray Diffraction Laboratory of the Metals and Ceramics Division at ORNL, he developed a broad capability for analyzing the atomic structure of matter in support of a large research effort on both metallic and ceramic materials. He was instrumental in developing the extension of x-ray and neutron diffraction methods to unravel the near-neighbor atom configurations of the atoms in crystalline metallic and ceramic solid solutions. His research has led to improved methods of studying the atomic and electronic structure of materials, especially those in which alloying additions and heat treatment can be used to alter their properties. 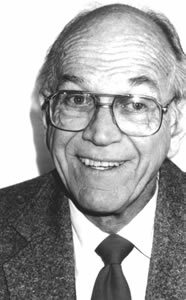 His research in x-ray optics provided the basis for the design of the x-ray beam lines for major synchrotron light sources in the United States and Europe. His theoretical and experimental developments in monochromators and in the development of techniques to match the optics to the emittance has simplified the design of the e-ray beam while increasing intensity on the sample by factors of 2 to 20. This was first demonstrated on the ORNL X-ray Scattering Facility which was constructed at the National Synchrotron Light Source at Brookhaven National Laboratory. Sparks was responsible for the conception, design, and construction of this facility. He was granted a U.S. patent for the x-ray optics systems and the work was selected for an IR-100 Award as one of the major technological developments of 1983. Dr. Sparks was the driving force and technical leader behind the development of the x-ray microprobe that is currently a principal thrust within the U.S. Department of Energy. Dr. Sparks’ work was one of the major factors in the use of x-ray diffuse scattering to unravel the structure of alloys at the atomic level. Dr. Sparks later served as a research professor in the Department of Materials Science and Engineering, University of Tennessee, Knoxville, and a consultant to the Metals and Ceramics Division of the ORNL, Oak Ridge, Tennessee. Dr. Sparks received numerous honors and awards. Most notably, he was elected a Fellow of the American Society of Metals International and a Fellow of American Physical Society. He was the recipient of the Department of Energy Award for Sustained Outstanding Research. Dr. Sparks authored and co-authored more than 100 scientific publications and book chapters and holds two patents. He served on several national and university science boards including the USA National Committee for Cyrstallography and was a member of Tau Beta Pi and Sigma Xi honor societies. Dr. Sparks died March 19, 2004 and is survived by his wife, the former Janet Webb and their five children.